Cinema 4d is an amazing software. Creating mind blowing motion graphics and other animations are easy in Cinema 4d. Learning Cinema 4d is fun. You can watch tons of tutorials over YouTube/Vimeo and other web resources. But getting a full scene file is more helpful for experimenting. Isn't it? There are people letting to download Cinema 4d scene file free of charge. They even let you to use it on your commercial projects. 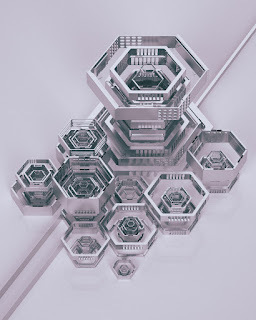 Mike Winkelmann from Beeple is a great artist who create and share a lots of Cinema 4d scene files. Honestly speaking I even downloaded most of the projects and carefully learning the techniques he used to create awesome animated videos. Most of them are simple techniques, you never tried. May be, but I learned a lot. So you can also download all these files and start experimenting. Impressed? Jump to his website and download the projects. Happy experimenting.